Students at Windward High School worked in Small groups to identify qualities they wanted in their school environment. Photo courtesy of Daniel Soloff. The WDRC Youth Program provided workshops to over 1500 youth in schools and the juvenile justice system in 2016. Additionally, in partnership with local school districts, 426 students and educators participated in restorative practices. 100% of our Youth Program core services are offered free and by donation. This opportunity for me to work with youth has been a joy and a passion. As a teenager, I did not know how to strengthen and repair relationships in a way that sustained friendships. I hopped from social group to group until I found myself in college with few friendships that carried over. Teaching youth skills to relate to one another and tools to resolve conflict allows me to offer both evidenced-based curriculum, as well as perspectives I did not have available to me in my youth. One example is working with Windward High School in our community. Windward provides an alternative learning atmosphere for families. Students are encouraged to collaborate with their teachers to design their own curriculum. Whether you are at a choice school like Windward or a standard high school, youth experience conflict daily. Many lack the skills and support to navigate conflict. Destructive responses can tear families and communities apart, creating harmful ripple effects, including increased juvenile delinquency and school violence. Critical communication and emotion management skills are absent in standard curriculum. The WDRC Youth Program fills this critical gap in our education system. At Windward, students and staff were struggling with growing divisions in social groups, and not knowing how to find common ground in a world of difference. I am sure many of you can think of someone in your life you respect and appreciate, and at the same time have drastically different perspectives on life and society. Think about those relationships and ask yourself, what makes the friendship still possible? A school-wide restorative circle at Windward High School. Photo courtesy of daniel soloff. To support the students at Windward, we facilitated restorative circles in each homeroom class. 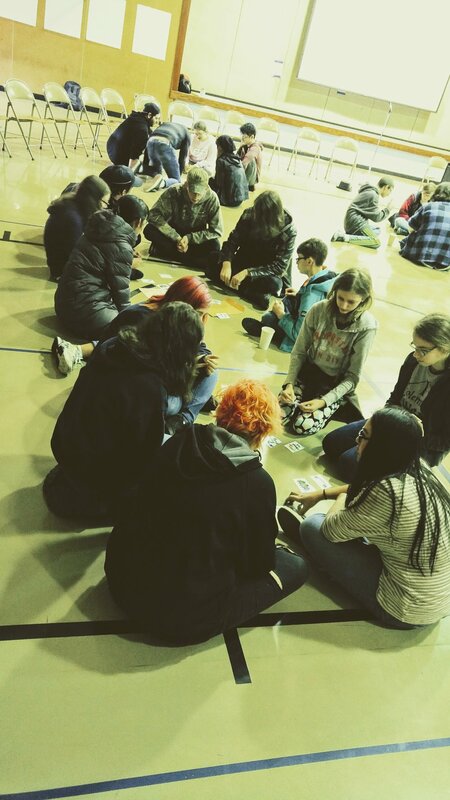 We used common ground activities to build connections in the group, and then asked questions about the realities they face at school and how they wanted their school community to feel. Students not only shared openly, but also listened to learn and understand the experiences of their peers. Then we hosted a school-wide restorative circle in their gymnasium. Through a value building exercise, the whole student body was able to distill five qualities they believed the school needed to practice. Each student had a post it note to vote on which of the five values was most important to them. By the end, most post it notes covered one value. Respect. Accomplishing this school-wide decision making process and helping students build individual skills to accomplish that goal has set these young people, and the entire school community up for success. Because of the WDRC Youth Program, young people across Whatcom County are building safe communities in schools and healthy relationships at home.